A leading healthcare provider in the Midwestern U.S. established new goals for preventative care around cancer screening, immunization and patient follow-up. When they began to measure performance against those targets, they struggled to 1) aggregate and transform the data from their disparate EMR systems and 2) to generate an accurate report on which decision makers could easily analyze and execute. 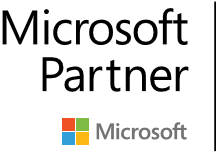 Our Power BI solution accomplished both. We helped them combine records from several systems and platforms into a unified, secure data model capable of calculating dozens of measures and KPIs across thousands of patient records. 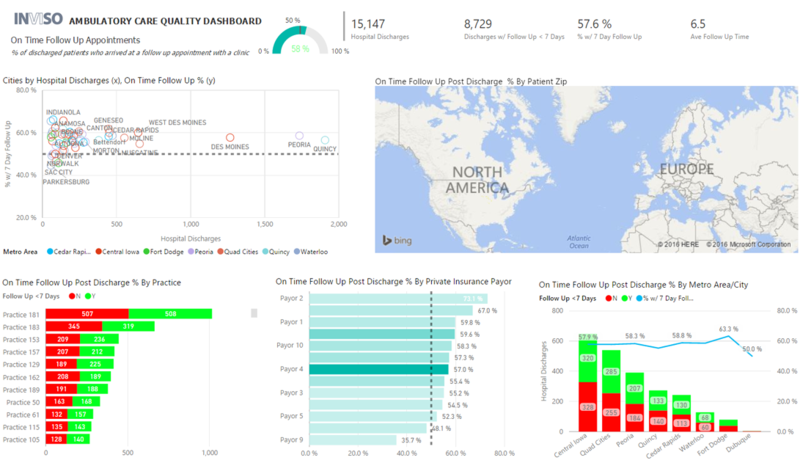 With the data model in place, we created consistent, visually-compelling reports tailored for each KPI and a single pane of glass dashboard to view the KPIs in masse. Their conversations quickly changed from “how did you get this number” to “what can we do to make these numbers better” – a sure sign of a successful BI tool. 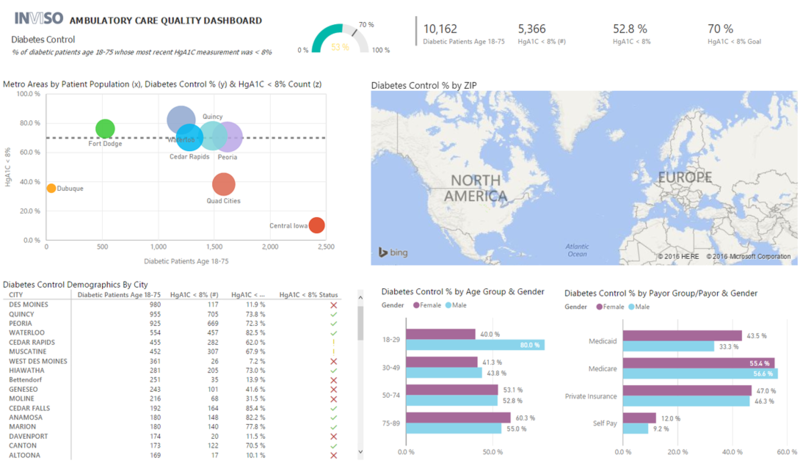 Inviso’s Power BI solution also comes with industry-leading hands-on training suited to both an analytics and executive audience. 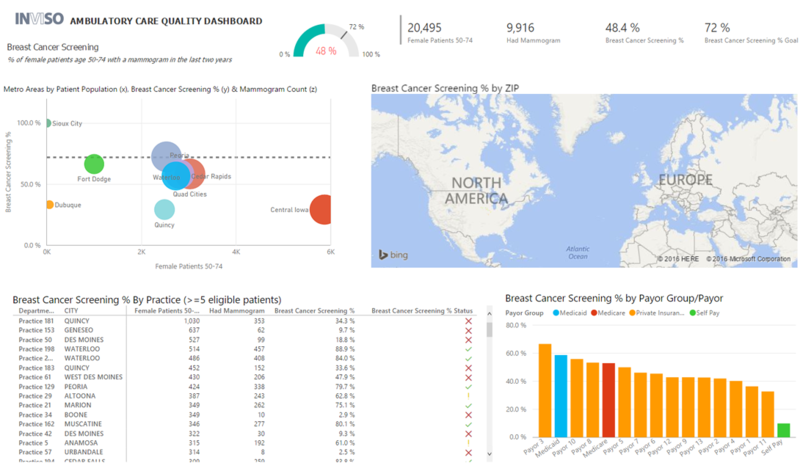 After uploading the reports and dashboards to the Power BI service, we teach our customers how to adopt Power BI organizationally and to enable collaborative authoring through integration with Office 365 groups, secure sharing via organizational content packs and scheduled refresh via the Power BI Gateway technologies.